1With this full moon nearing ever closer, we can’t help but feel a range of emotions rush through us. Who else relates? 8.1Help Gostica raise the vibrations and SHARE this article with your family and friends. 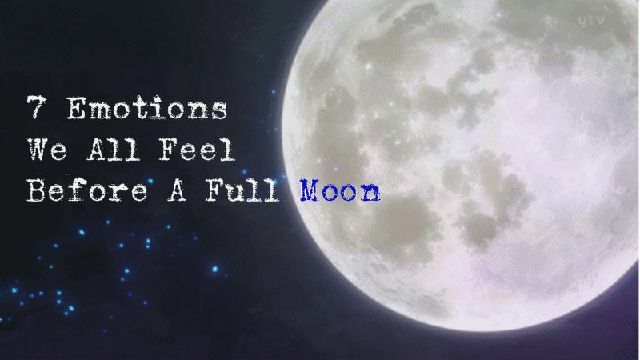 With this full moon nearing ever closer, we can’t help but feel a range of emotions rush through us. Who else relates? We always check our lunar calendars, but sometimes it slips your mind and you may have forgotten there’s a full moon around the corner — so that feeling when you remember brings out the best sense of joy from within! Now that you’ve remembered there’s a full moon, you’re trying to think the best way to get the most out of it. So you’ve opted for all of them. Affirmations, crystal cleanse and a spot of moongazing. But wait. Let a sense of relief wash over you now that you’ve found that pesky gemstone, and you can get back to planning your full moon rituals. You’ve laid out your meditation mat on the ground and made your space a sacred one. Your crystals are on hand to be cleansed and charged. Affirmations and mantras are at the ready. You feel a total sense of Zen as you watch the clouds clear and the full moon’s bright light lovingly wash over you. Blissful, isn’t it? Look up at the moon. Wow, isn’t it amazing? You can’t help but gasp. Its sheer beauty is incredible. Take it all in and revel in the moment. Life truly is something special. Another successful full moon has been harnessed. With a new lease of life and a supercharged soul under your belt, you’re ready to take on anything the universe throws at you!